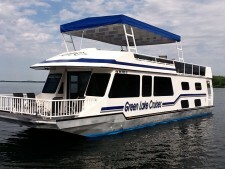 Welcome to Green Lake Cruises! 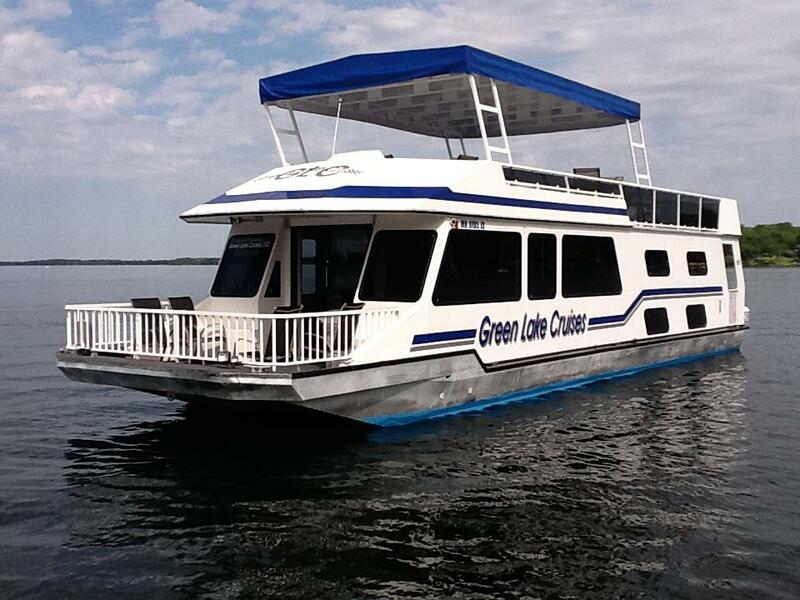 We offer groups a private 2 hour cruise; a comfortable ride on our premier lake in Kandiyohi County… Green Lake. 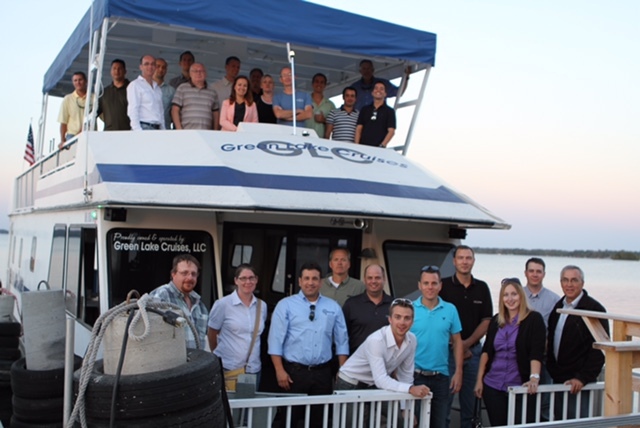 Our 56′ vessel has room for 55 passengers. Two bathrooms, a full bar and an upper deck for the best view anywhere! Dinner or appetizer service available. Great for Bachelor & Bachelorette Parties, Groom’s Dinners, Wedding Receptions, Anniversaries, Wine Cruises, Family Reunions, Corporate Events and more! 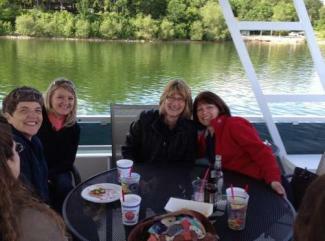 We will dock at the Zorbaz restaurant on the south shores of Green Lake. The address is 159 Lake Avenue S, Spicer, MN. Cruises include: captain, bartender & service staff if needed, two bathrooms, and main cabin heated & air conditioned. 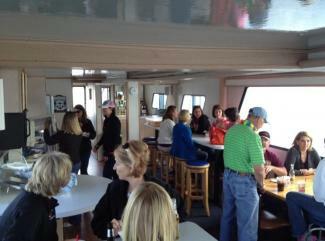 We also provide a wide variety of different public cruise options. 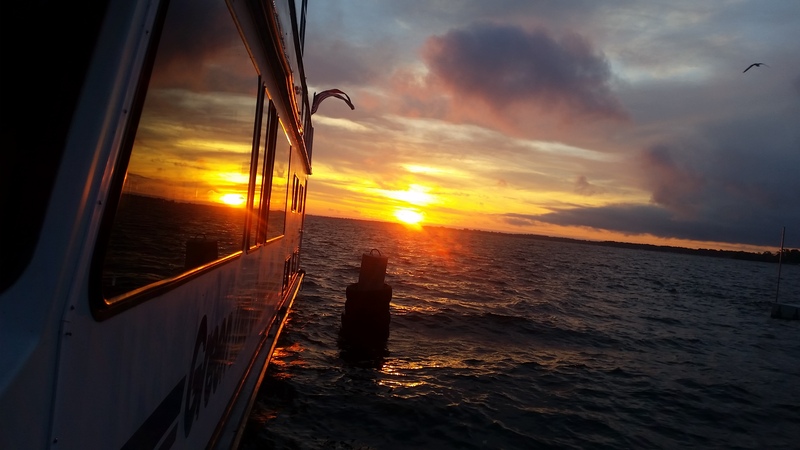 Some of most common public cruises include Happy Hour Cruise, Fajita/ Margarita Cruise, Saturday Morning Bloody Mary Cruise and our Sunday Brunch Cruise. 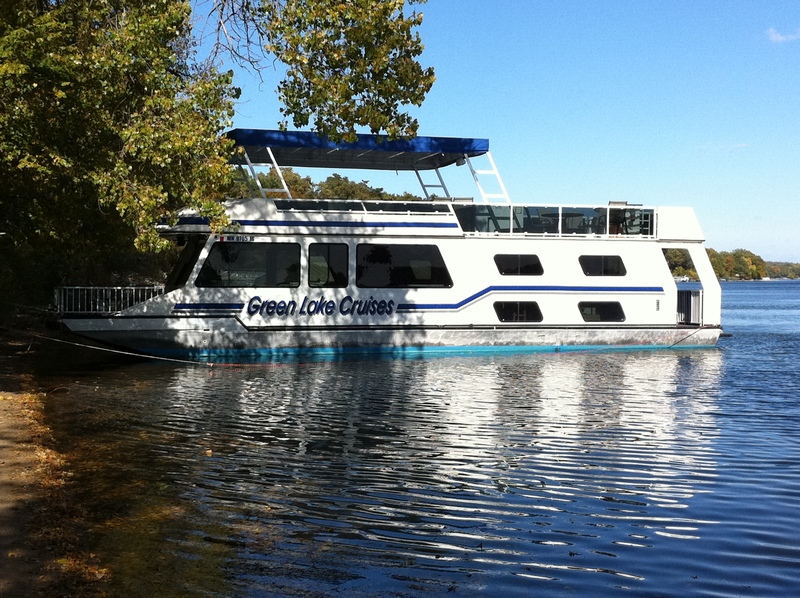 Pontoon Rental – Premier 23′ Pontoon and 70 horse Yamaha outboard holds up to 12 people, life jackets included. Stereo with iPod adapter, sun top, and anchor. Available for full day or half day rental. 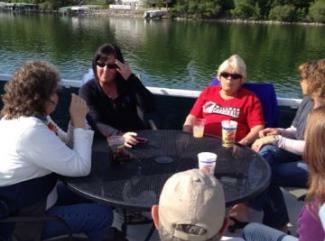 For Pontoon Rentals, please call Dave at 320-894-5774.